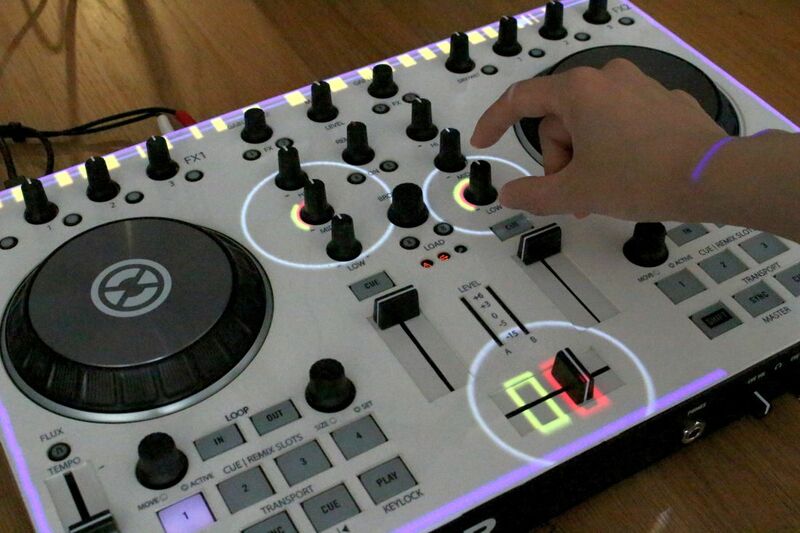 When a person wants to learn how to became a DJ (Disc Jockey), they normally watch videos and go to live performances from different artists. However, this method of learning brings with it the difficulty of understanding of when the person has to change values, and how to do it depending on the song itself. 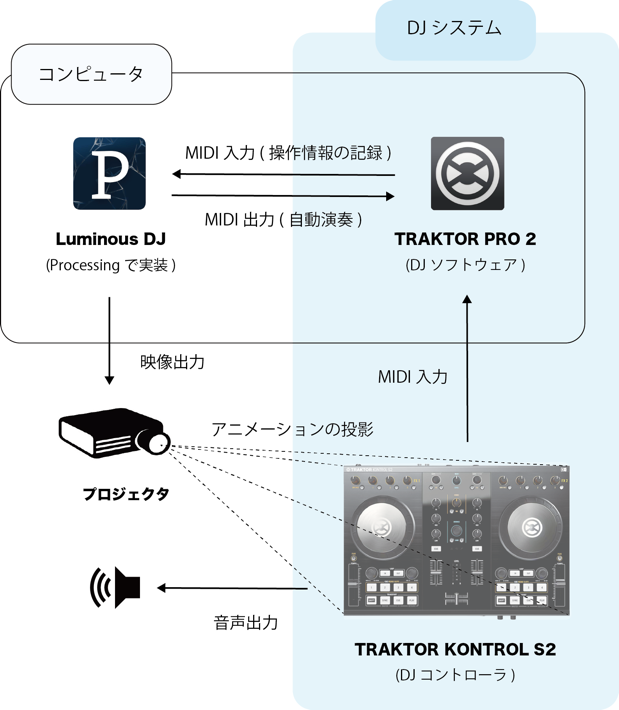 In this research, we propose a system that projects previously recorded performances into the DJ controller. 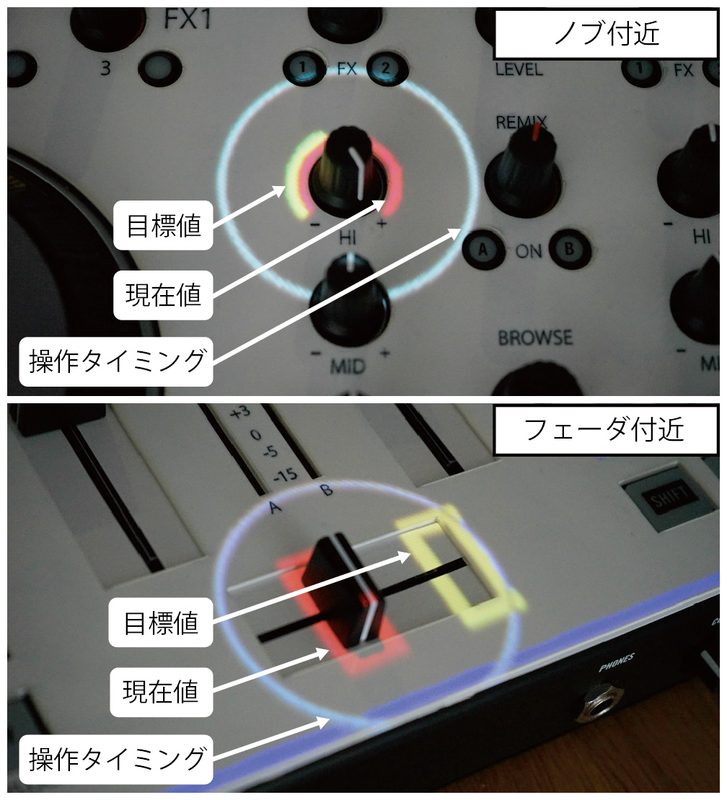 This new feature allows the users to have an easier understanding of how they use their instruments, and how to operate them. In this paper, we show the outline of the proposed system and the prototype developed. Copyright © 2013 Hashimoto Laboratory. All Rights Reserved.